My little hobby greenhouse is nearly filled, and each day I can’t wait to see what’s popped through the soil in the potager. The winter was frigid, long and did not provide that snow blanket of insulation for plants, resulting in many losses so I’ve had to start more seedlings than normal. The chives just re-appeared, and the first crocuses were much later than usual. However rows of radishes, various lettuces, peas, snow peas, snap peas, kale, green onions, shallots, spinach, and more are already planted. Sunshine has been rare, but on the days it comes, one can almost watch things grow and change. The daffodils are 2” tall now, as are the irises and daylilies and the lilac buds are beginning to swell. 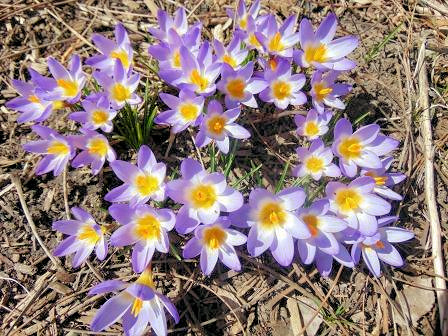 Maybe in April, spring will actually arrive! Garden Fair: April 6. Vendors, speakers, and more! Sponsored by the Monroe Co. Master Gardener Assoc.National Guard Armory, 3380 S. Walnut, Bloomington, IN. HSCI Herb Symposium: Saturday, April 13. Fabulous event! Hamilton Co. Fairgrounds, Noblesville, IN. Delicious herbal breakfast and gourmet lunch, huge silent auction, vendors, swag bag and other freebies, plus an entire day of informative speakers will provide info on cooking with anise hyssop the 2019 Herb of the Year, edible landscaping, the monarch and other pollinators, herbal teas, and yoga in the garden. All of this for only $50 (members $45). Registration available on-line at herbsocietyofcentralindiana.org Send your registration now. Deadline April 8, but seating is limited. 36th Annual Crafty Bear Fare: Saturday, April 20, 9:00am-3:00pm. Lots of vendors. Mooresville High School, 550 N. Indiana St. Delta Theta Tau donates all proceeds to area philanthropic projects and scholarships. 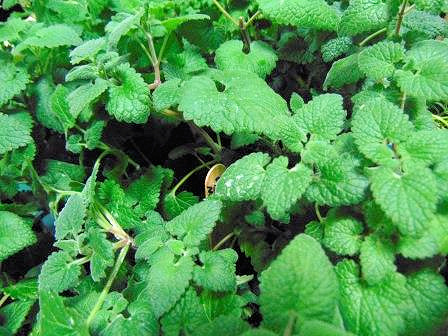 Whether or not a feline is a member of your family, catnip (Nepetacataria)can be a valuable herb to add to your garden. 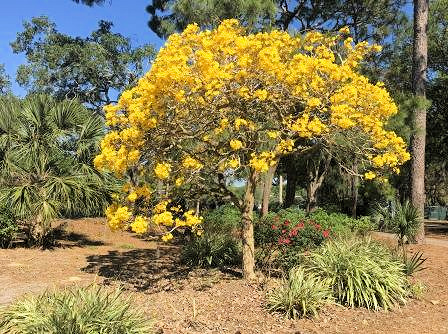 Its attractive gray-green foliage has slightly scalloped leaves, and is seldom bothered by insect or disease damage. It’s an easy-to-grow perennial that will do well in full to partial sun and average to slightly moist soils. The pretty pale pinkish-white flowers are born on sturdy stalks in abundance, and are enjoyed by many pollinators throughout a long, long blooming season. At 3’ in height, it can be a lovely filler in mid-border, and makes a good filler in cut flower arrangements as well (if you do not have house cats!) While sometimes a short-lived perennial, it will self-seed or can be easily propagated by divisions or cuttings, or grown from seed. Traditionally, catnip like its fellow members of the mint family has been used as a tea. Known to be relaxing and calming, it was often given to fussy children or feisty adults. However, it should be known that about 20% of the human population react the opposite after drinking the tea, and may become more restless or agitated. My favorite catnip for tea is Lemon Catnip (Nepetacataria var. citriodora) which has a distinctive lemon scent and flavor and can only be distinguished from regular catnip by those fragrant characteristics because visually, it appears the same. While most cats react to catnip’s essential oil (nepetalactone) with joy, chewing it, rolling in it, batting at imaginary toys, etc., a few may find it just annoying or dismiss it entirely. The most susceptible to the drug effects are teenage boys, then teenage girls, followed by adult males. Elderly female cats are sometimes little affected at all. The common reaction to catnip is a burst of happy energy, followed by a long nap to recover. We kept a catnip-filled cloth “mouse” in a plastic bag in our freezer. Before we expected to be away, but while we were there to supervise and enjoy his antics, we’d give the “mouse” to our cat. While we were gone, the cat would sleep serenely, never knowing his family was away. I'm fortunate that D loves golf as much as I love basketball. He also recognizes after all these married decades that a dose of sunshine about this time of year radically reverses my downward spiral and makes living with me much more pleasant. So, with a dear gardening friend willing to tend my baby plants in exchange for the use of my pick-up truck while we traveled, we were off to Palm Harbor, Florida (THE Sunshine State!) for the Valspar Golf Tournament. This is just a sample of the many plantings throughout the course. 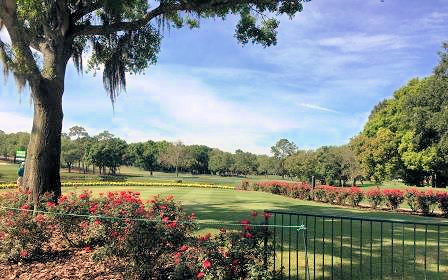 I can't tell you how much the sight of blooming red roses and bright yellow marigolds, green grass, shaggy Spanish moss, and leafy trees lifted my spirits. This tournament raises millions of dollars for local charities, and is sponsored by the Valspar Paint people. You've probably seen their commercials where the talking chameleon changes color as he walks on various paint samples. 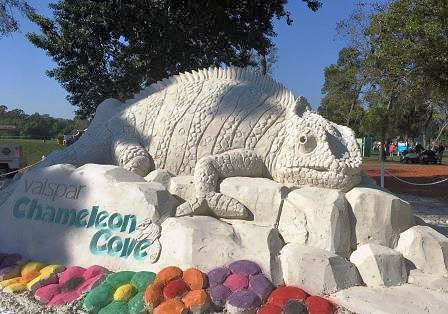 One of the centerpieces of the tournament is this huge sand sculpture of their "spokesperson." 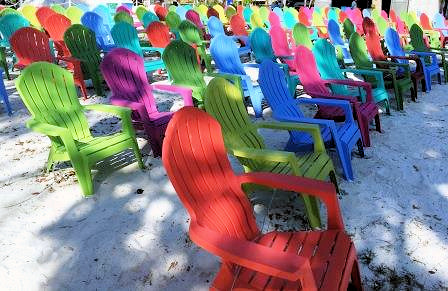 This has to be the most colorful golf tournament on the circuit, from the comfortable seating overlooking the 3rd green. 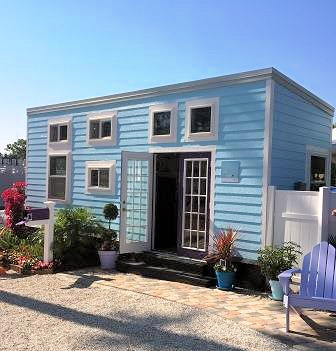 There was also a display of "TINY" houses, painted inside and out with luscious colors. 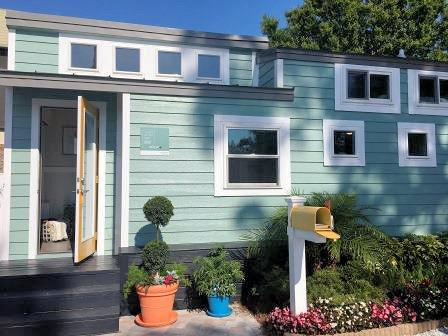 Here's the tiny Beach House....decorated inside in a breezy, seaside decor with lots of ambient light. And the tiny farmhouse, which was my favorite,painted in this year's "Color of the Year," a pretty shade of light green. I especially enjoyed the landscaping around this cozy dwelling. There was so much to see that I didn't mind at all being there for four days of our trip because I walked and walked and walked! Admittedly, the first day was a medium walk through only a small portion of the course, but some of it was uphill and that night, my whole body ached. That did not bode well for the upcoming gardening season, so I was determined to get some muscles back in shape. Fortunately, the colorful contrast to our landscape back home continually lured me ahead. It was a joy to be in 70 plus degree weather and not bundled in bulky clothes for a change. The skies were so blue the birds so full of song and there were trees we just don't see in Indiana. This brilliant tree was breathtaking. I was told it is a Trumpet Tree. I wish it would grow in Indiana, but it won't without more protection (like a giant greenhouse heated all winter!) than I'm willing to provide. 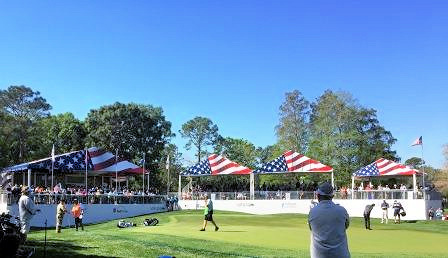 The 16th green is called the "Patriots' Outpost" and is sponsored by Chick-fil-A, who not only provides funding for the shaded pavilions, but free food and drink for veterans and military personnel. A wonderful shuttle service makes it feasible for veterans to get there easily. Each day's walk was longer, providing new vistas and more flowers. By the last day, I was able to walk the entire course without stopping, and came home feeling refreshed, relaxed, renewed and eager to see what changes were wrought in my gardens while I was away. It's amazing what a few days of sunshine can do! Don’t forget to get lots more gardening and herb information from my blog at www.herbalblessingsblog.com or you can access on it from this website by clicking on the “Garden Journal” tag under the website header. This recipe is adapted from one featured in a “Taste of Home” magazine. It was more work than I expected to pound the pork out to a ½” thickness, so I’d advise doing that part ahead and allowing plenty of time. Otherwise, it’s easy and delicious! Cook 1 box wild rice according to package directions. It should yield about 3 c. of cooked rice. While it cooks, prepare pork. Begin with 4 lb. pork roast (I used a 5 lb. shoulder roast and removed the bone and excess fat.) Place on a washable cutting board and cut lengthwise down the middle to within ½” of the bottom. Cut each side again one or two times, depending upon thickness of the roast, but always stop before that last ½”. Place plastic wrap over top and pound with a rolling pin until the roast is an even half inch in depth. You may need to make a few more cuts or remove bits of gristle. Eventually I ended up with a rectangle about 12” x 20”. Sprinkle meat with 1 t. salt and 1 t. pepper. Combine in a large bowl to make stuffing: cooked rice and any remaining liquid, 2 c. coarsely chopped dried cherries, 1 ½ c. chopped onions, 1 c. finely chopped celery, ¾ c. chopped fresh parsley, ½ t. ground sage. Stir to blend well. Spread stuffing evenly over the meat. Preheat oven to 350 degrees. Roll the long edge forward and continue until you’ve completely rolled the pork, ending with the edge underneath. Tie tightly with string every 1”. Carefully place roast on a baking sheet and roast for 45 minutes. Remove roast and place half slices of bacon evenly over the entire roast. Return to oven and bake until a meat thermometer reaches 160 degrees and bacon is crisp, about 30, but it can vary with the roast so watch the thermometer. Remove from oven, cover with foil and allow to rest for 10 min. Carefully remove bacon, cut and remove string. 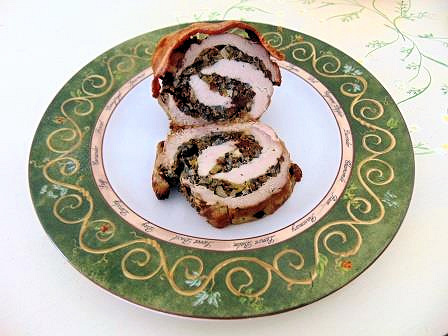 Place roast on serving platter, replace bacon strips and garnish with parsley and fresh cherries, if available. Serves 6-8.